Your pup has already received much care, love and consistency of care at our home. We are providing the details of our routine in hopes that it will support you in caring for your new family member in the best possible way. Your new pup will require a great deal of rest. Dogs sleep many more hours than we do, an average of 16 to be exact. 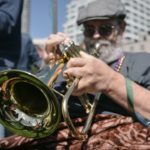 We suggest keeping your schedule pretty homebound and restful for the first 3 days. Let your pup learn the lay of the land, so to speak. They need to get used to the water, find their rhythm sleeping, eating and learn where and when all their daily affairs are conducted! The key is a consistency for their sleep cycle, eating and outside times. Whatever rhythm works for your family has to work for the pup. Remember, waiting isn’t the best choice as they are learning and require redundancy to build muscle memory. 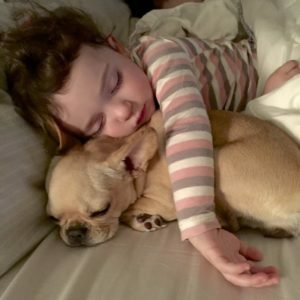 Your pup is used to an 8:00 pm bedtime with a 6 to 6:30 am wake-up, but can easily adjust to the new rhythms of your family if they are done little by little. Crating your pup until he or she is housebroken is best. It will also help him or her feel safe and clear about a space or den of it’s own. And then once the training is over it will be able to sleep with you easily, but can use their den whenever they want. Though I recommend using a crate at least an hour a day or at least 5 days a week as it reduces stress if they ever have to go to the vet and be crated while there. We recommend putting a hoof or other item in their crate to chew as a treat when resting. Keep the crate by your bed so your pup doesn’t feel alone and in no time he or she will be settled into a routine. 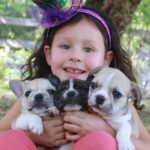 You can stroke your puppy while they are in the crate if you choose to crate train. Place the crate near your bed covered, of course with breathability. 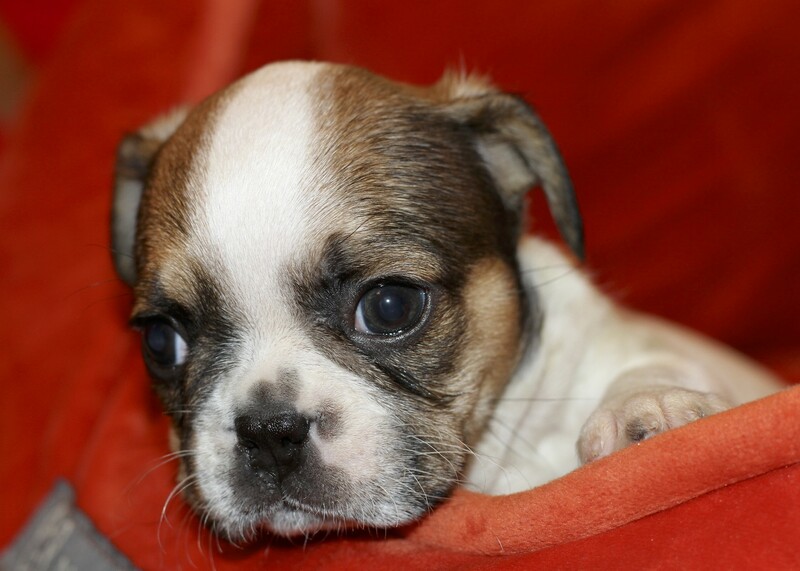 If your pup cries at night, tap their crate on the top and say “Nitey Nite” quietly and lovingly. Nothing else. 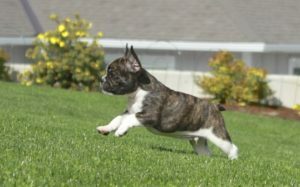 If your pup persists, simply get up and take it outside without any toots and whistles! That means no goodies at night for putting you to work so that the pup will learn to sleep through the night before calling you to go outside. 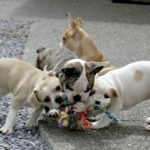 Having just been removed from their pack, your puppy is going through a big environmental and social change. Kindness works well here without worry. And dogs, like children, respond to relevant input. If your pup has a need, fill it. Then don’t let your pup go beyond reason if you notice he or she is doing that! 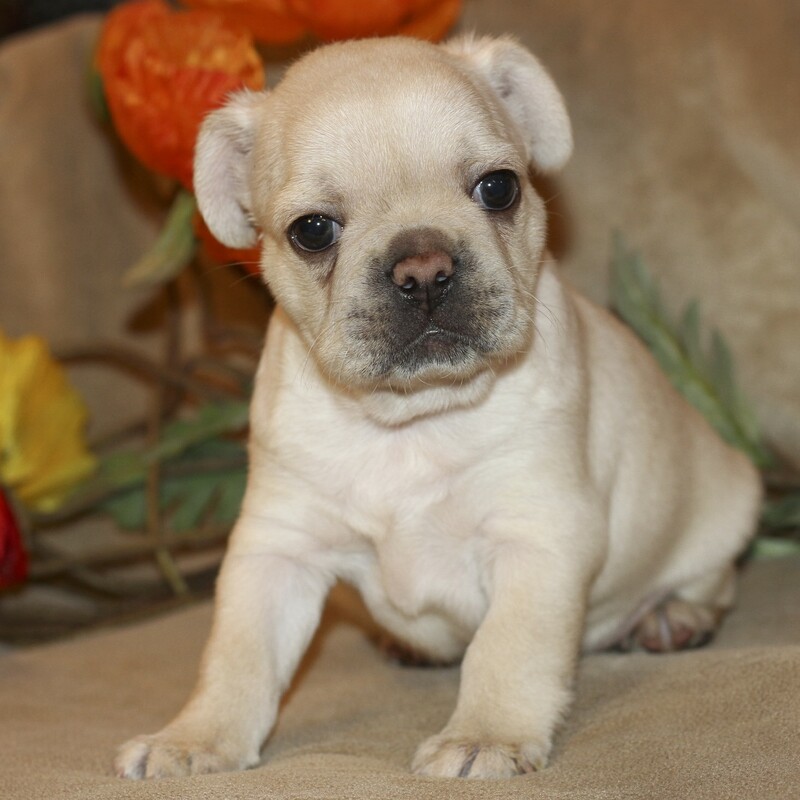 Royal Frenchel eating times are 6:30 am, 12 pm, and 6 pm for 8-week olds. We also give a small treat if a pup stays up late to increase blood sugar overnight. You can shift the timing, but remember not to be sudden. 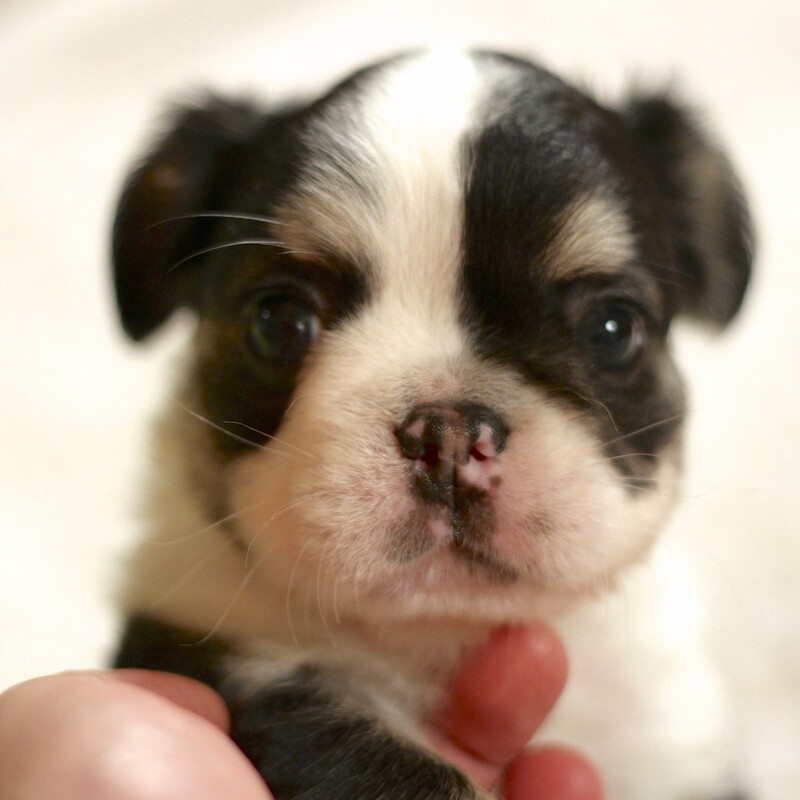 Puppies do well with their natural circadian rhythm. They get up with the sun and go down with the moon. You can play with it, but puppy training is best this way. And they will most likely fall asleep anyway! An hour change is fine one week at a time, shifting it so as not to cause the pup lack of success or unhappiness with whining or soiling at the wrong times. A word about water. Water changes effect dogs considerably which many people take lightly. Water is a big deal for dogs. They taste it, smell it and look forward to their water regularly. Remember that your dog comes from a home where they have well water and when they go to a location where they have chemicals in the water, they respond unfavorably and rightly so. So, give them the best water you can get to ensure an easier transition and longer life. 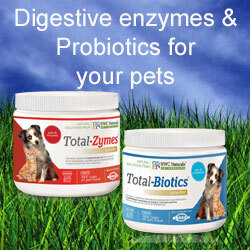 As your puppy grows you will notice a feeding drops out quite naturally. Just leave that one out. You will find that your pup will end up eating two meals a day, one in the morning and one in the late afternoon or early evening. Royals often tend to eat more at their evening meal. Place food down for 15 minutes or so and watch for signs that your pup is done. When the puppy walks away, take them outside immediately while calling their name and praising them. See below for further housebreaking instructions. We also use Nuvet vitamins as it supports a great immunity and stable growth of bones, muscles etc. They are the vitamins you get when you purchase your pup. Puppies need to go to the bathroom after waking, resting, eating and before sleeping. EVERY TIME! These are crucial times for your dog’s awareness to form the habits that serve them. It will work every time if you are consistent and immediate. If you wait, you will pay the consequences at first. 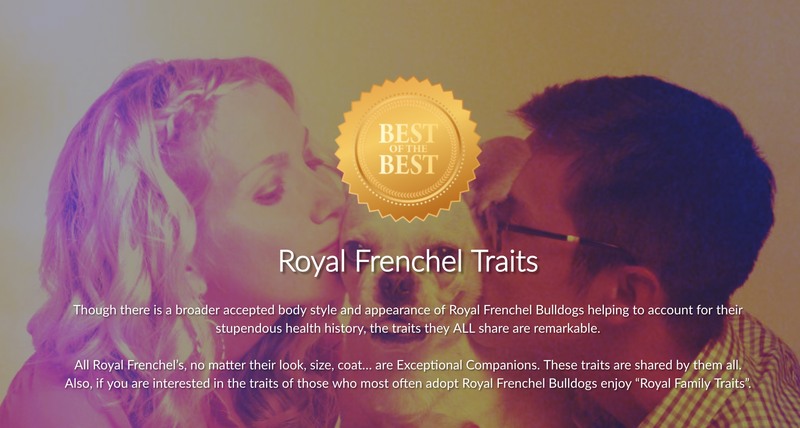 However, you are very lucky as Royal Frenchel’s are the easiest dogs in the world to train. So, when your pup first awakens in the morning, take them out swiftly. Or get there while he or she is asleep and wake them with love, harness them while loving sounds are spoken and then walk them out with ease to their place. (Do not ever use a leash on collars for walking dogs as it isn’t good for them medically. It can cause various symptoms and long-range issues with eyes etc.) Praise your pup well. Go back inside and remember, pups go to the bathroom two times in the morning! So, when the puppy walks away from their food, as we said above, take them outside immediately while praising them again. These walks are ultimately easiest if you do this by calling your puppy to you and putting their harness on. Then walk to the area outside where you want them to go to the bathroom and tell them the same words each time to go to the bathroom. This command will become a signal to your pup later and make it easy for them to go anywhere, anytime they need to without concern over distractions. When you bring your puppy in from outside use the 5 Minute Hands-On Play exercise. And if you can do it on the 2nd out and in, play with them for at least 10-30 minutes. Do this in the first month and you will get hooked yourself! 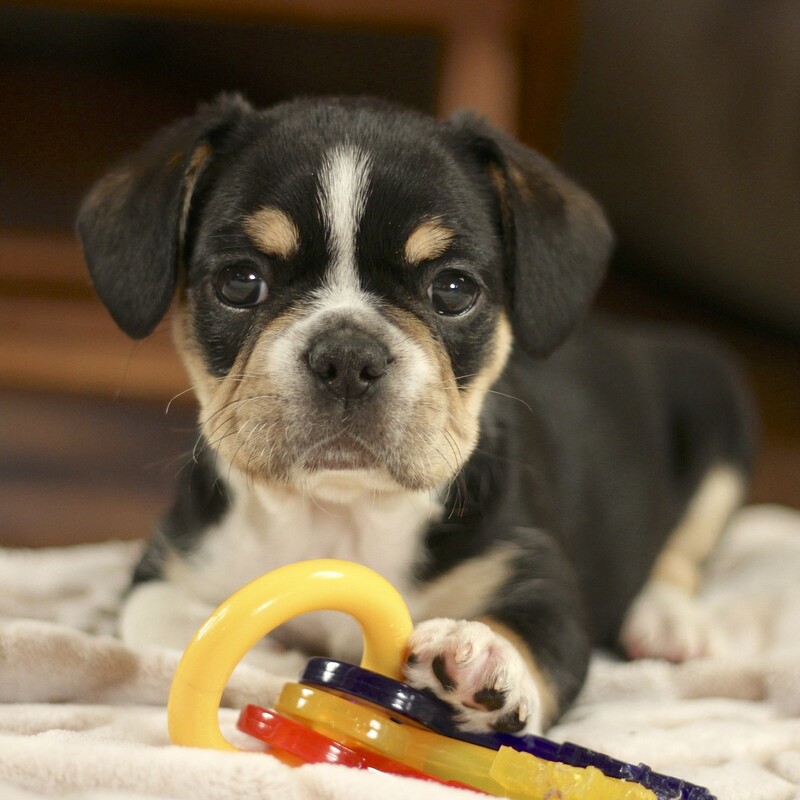 Your pup will associate going to the bathroom well with playtime and will learn very swiftly. Allow them to remain out for at least 45 minutes with an eye on them and within a small area or room where you are together. The idea is to generate success with no accidents. Forty-five minutes before crating is a good time to ensure that success and have a great time. Then crate with a toy and chew; bone, hoof or bully stick. Keep an eye on our site for fun treats as well. 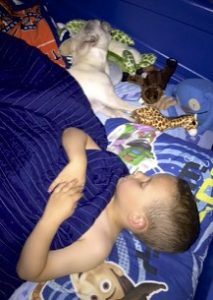 Your puppy will naturally get his rest when he is done playing alone. Then start the routine over again. Dogs are den animals and feel safe and secure when they have a special cave of their own to retreat to for naps, breaks and downtime or to hide or store toys! They don’t necessarily relate to them as “prisons” like humans! You will find the crates we use on our site and are generally 20 to 24 inches depending on the size of your locations. We do not use travel crates as they are not as comfortable for the dog and are made of plastic which isn’t great for he dog either. Our crates are made from wire and coated with enameled paint. 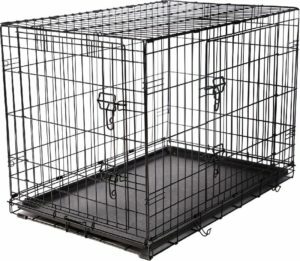 They are easy to clean and sterilize and look well just about anywhere especially with the crate cover you choose. We suggest 2 door crates. They are best for most locations making it easier to choose how and where you put the crate. The one door crates often don’t work in certain areas as they have only one direction they open in. We like them because the puppies can see through the wire, and you can cover it easily for a sweet den effect. You can also get three doors on them which makes them really moveable and easy to get in and out of when you want to. However, we don’t find that we use a third crate door which is generally on the top very often. So the two-door is best. 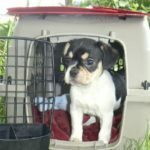 When your pup is young, your crate may be too large for what your pup needs. To give your pup just enough space for chewing a bone and sleeping in order to ensure no accidents occur, place a box in the crate to take up the excess space. As your pup grows, simply remove the box. Your pup may still have a few accidents regardless, but that will pass very quickly with the housebreaking instructions noted above. Royals are known for fast housebreaking which makes your job far easier than with most breeds. I believe that shots are necessary through the first year both puppy vaccinations and the boosters at the end of the year. However, there is much controversy over the yearly booster from then on. I do not give them again, yet in today’s new corporate veterinary experience they suggest yearly boosters. As I said, I don’t find them necessary myself nor would I recommend it unless a new need in your local community with dog ills has arisen which your vet can make you aware of. Otherwise, I always err on the side of fewer medicines. 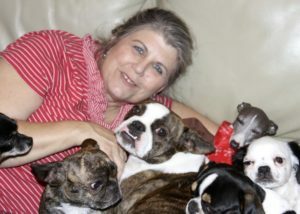 Many breeders are seeing difficulties with dogs who get shots each year unnecessarily, with compromised immune systems. So, after much consideration and reading (which you can also do along with discussing it with your veterinarian) we do not give yearly shots to our adult dogs. They are doing very well with this practice. Vaccines are not simple things. They can have effects we don’t want to trigger as well as protect our beloved animals. You will want to use heartworm medication and receive a rabies vaccination as well. Please refrain from a rabies vaccination for as long as you can. I recommend 6 months old unless you have to for some reason such as dog care protocols at your local dog sitter. Your veterinarian will set you up at the right time for these medications as they occur later the first year. Just remember not to forget to start your heartworm medication by month 12. 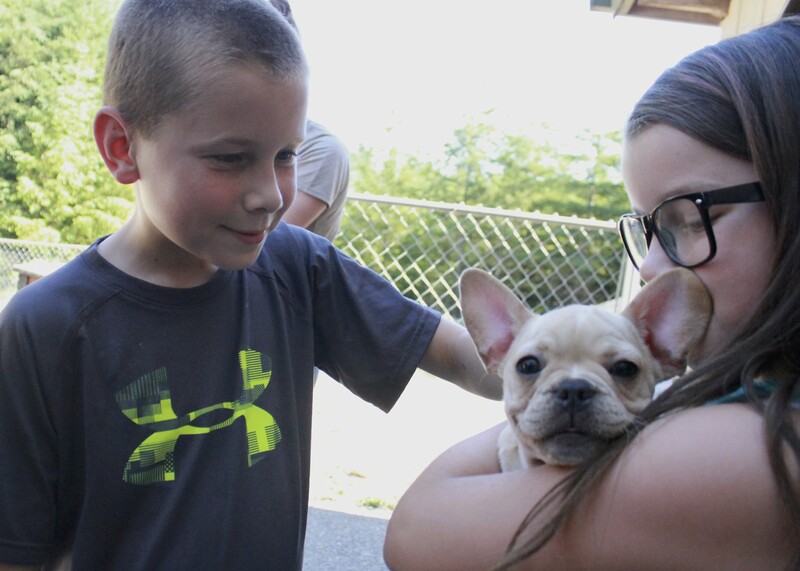 Important note: French Bulldogs (which helped create the Royal Frenchel) are at risk for some anesthetic medicines. Though most vets don’t use them today, some still might. 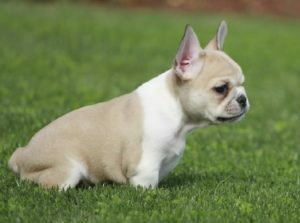 Please notify your veterinarian about your pup’s line having Frenchie genes. Make certain it goes in their medical record in red to ensure they always remember your pup’s history. They can use other medications easily once they know this information. That’s it for now! Feel free to contact me with any questions anytime. Remember, you have me for life now! Use me well. I have seen more pups and pup situations than most vet will in their entire careers. I specialize in pups. 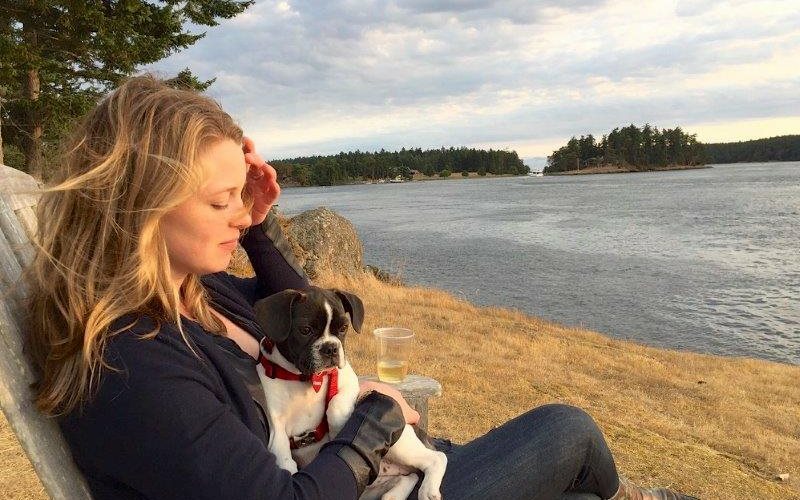 Though I am not a veterinarian by far, I am very versed in the breeds I have raised and created and know often simple methods of settling issues that may come up at any time in the life of your pup.